Savory and Sweet Food Tastings, Prizes, Fun, Money Saving Workshops and much more! 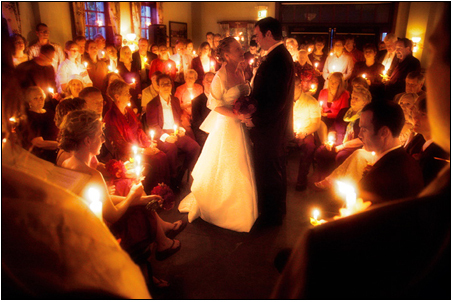 Our brides are non-traditional and/or are seeking to have a non-traditional ceremony. Showcase your business to brides who are looking for products and services to create a very unique and memorable wedding! People buy from businesses they know and like! The Nonconforming Bridal Fair gives you a chance to interface with hundreds of potential customers. Say I Do! 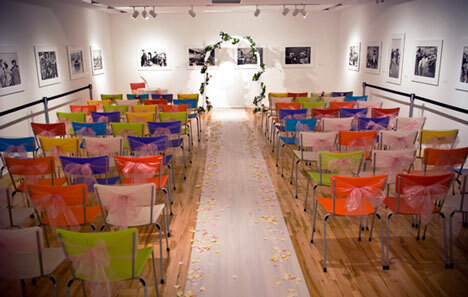 Wedding Expo's and Events (A Pink Dot Concepts brand) produces niche events targeting a specific yet lucrative crowd. We serve the communities that the "blanket" wedding shows miss. Our Say I Do! LGBT Wedding Expo draws over 200 couples! Out of Say I Do! LGBT Wedding Expo, we realized that there is a huge market of brides who want something other than the traditional wedding ceremony. Our answer to this growing market is The Nonconforming Bridal Fair! We are very excited to bring The Nonconforming Bridal Fair to our offbeat brides and the vendors who can help them create the wedding of their dreams! We also follow-up with our event guests to remind them to visit and/or contact our vendors. We never stop communicating! This keeps your business fresh in the minds of potential clients. We do offer a discount for participating in both events. Say I Do! LGBT Wedding Expo will be held June 5th at the Hotel Palomar in Washington, DC. Please email us at hello(at)pinkdotconcepts.com. Below is a copy of the email you received following completing our form regarding event participation. This wedding expo is for those who want a little something different for their wedding or aren't considered a 'traditional couple.' Gay or straight, young or old, 1st marriage or 3rd; The Nonconforming Bridal Fair is for those who are leaving traditional behind and blazing their own trials and embedding their personal style and flair into their wedding festivities. (2) Exhibitors are encouraged to provide a raffle prize for our raffle. A portion of the raffle proceeds will benefit a worthy cause. (3) Exhibitor investment ranges from $395-$895; depending upon booth size chose and level of involvement. The Nonconforming Bridal Fair will be held on Sunday, April 17th at a in the DC area. If don't want to miss this awesome opportunity to reach over 200 qualified brides, email us at hello@pinkdotconcepts.com for a complete exhibitor package. We have limited space as this event, booths can be held for a $150 deposit for 30 days. Deposits are non-refundable, but credited towards your total balance. Booths are available on a first-come, first-served basis. We can not hold booth space. If you're ready to get started we can be reached either via email at hello@pinkdotconcepts.com or via phone at 347.PINKDOT. Or, if you just can't wait; register at: http://theunconformingbridalfair.yolasite.com/exhibitor-details.php. We look forward to partnering with you on this fabulous event! Exhibit at The Nonconforming Bridal Fair!